Salt Lake County Service Area #3 (SA3) is a government water/sewer district located in Little Cottonwood Canyon at Snowbird. SA3 is responsible for providing drinking water and wastewater services to Snowbird ski resort and many of the residences along the Alta Bypass Road. We also manage the Town of Alta's water system through an interlocal agreement. SA3 has provided reliable, safe drinking water continuously since the inception of Snowbird in 1971 and currently has a fulltime staff of three. We are governed by a three member board of Trustees whose terms are staggered to ensure continuity and to give the Service Area a direction it can follow for many years. Our General Manager is Keith Hanson, shown below in the Wasatch Drain Tunnel. 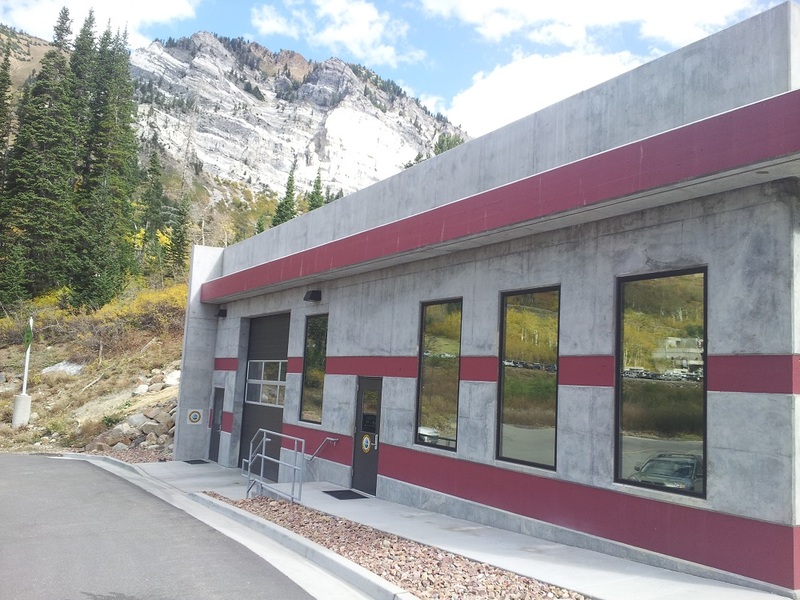 We operate two water treatment plants, the larger of the two being in the Wasatch Drain Tunnel and the other being atop Snowbird's Hidden Peak. In addition to the treatment plants, SA3 is directly responsible for four storage reservoirs that store over 30 million gallons of water, two pumping plants, and approximately 15 miles of distribution piping. 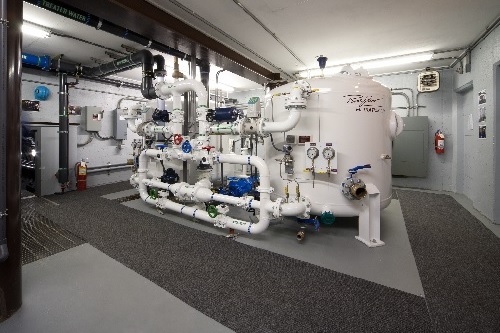 In addition to the facilities above, under contract, we operate one water treatment plant and three pump stations for the Town of Alta. 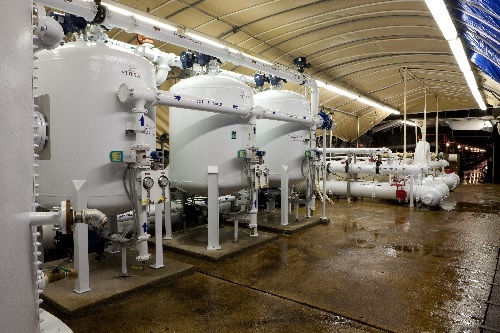 All of our system operators are continually trained and are State certified in water treatment or distribution, at levels above those required by law. Little Cottonwood Canyon has a significant amount of mines that were dug since the 1800's through the present day. Mines have a tendency to fill with water unless a drain is provided. The Wasatch Drain Tunnel (WDT) was constructed during the period of 1912 to 1916 by Wasatch Mines Company to drain water from the mines and improve ore transportation efficiencies from approximately 50 miles of silver, lead, copper, and zinc mines in and around Snowbird and Alta. The WDT, long since abandoned as a mining operation, is now the major water source for Snowbird, Utah, not only for domestic water uses, but snowmaking and electrical power plant (co-generation) cooling purposes as well. The WDT also provides an important discharge of water to Little Cottonwood Creek, the main tributary of Little Cottonwood Canyon and the Little Cottonwood Mining District of Utah. In 1985, SA3 completed installation of a unique steel and concrete bulkhead structure, designed to dam water in the WDT. Through the use of this device, the WDT now serves as a underground water reservoir, backing water up into various mine tunnels located above and adjacent to it. At the same time, a water treatment plant was also established in the WDT to remove the chemicals Iron, Manganese, Lead, Copper, Antimony, Cadmium, Zinc, and Arsenic. In addition to water from the WDT, numerous mountain springs also contribute quality drinking water to the SA3 water system. While the WDT does possess the necessary positive characteristics of a valuable water asset, good management practices are still most essential and needed in this operative situation to always insure that this resource provides the best for the Snowbird area, canyon and valley communities and ecosystems. The continuing management of this asset will insure that it will remain useful for generations to come. 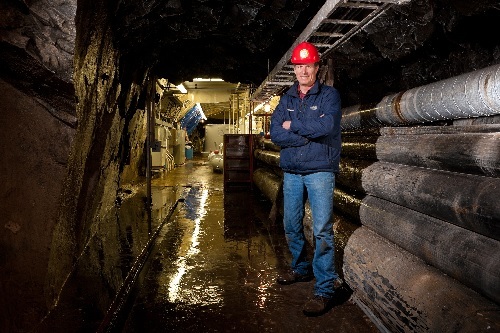 It is imperative to never go into an abandoned mine without proper supervision or equipment as severe injury or death could result from cave-in, oxygen deficiency or numerous other catastrophes. Little Cottonwood Canyon, part of the Salt Lake City Watershed Area provides clear high quality drinking water to the residents of Salt Lake City and surrounding areas. A watershed is a geographical or geological area that is drained by a single river system. What this means is that a drop of rain that falls on the ridgeline will eventually make it's way to the stream at the mouth of the canyon. 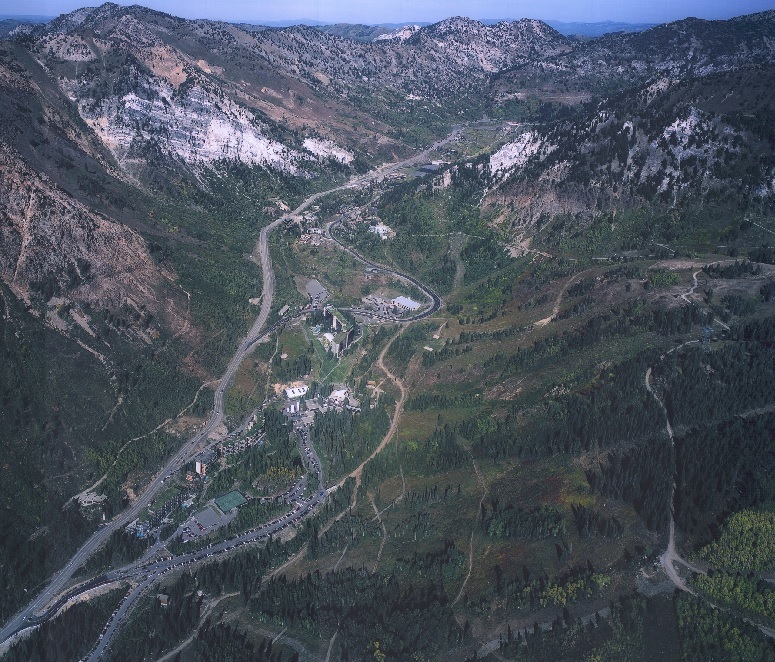 Because of the uniqueness of the area it is critical that the watershed be protected and respected by all who visit or use the Little Cottonwood Canyon area. -Salt Lake City Police Dept.